Be the first to share your favorite memory, photo or story of Albert "Pete". This memorial page is dedicated for family, friends and future generations to celebrate the life of their loved one. Mr. Albert “Pete” Dwight Guest, age 75 formerly of Roswell, Georgia passed away Monday, March 25, 2019 at the Resting Nest Assisted Living in Gainesville, Georgia. A son of the late Joe Clarence Guest and Bertie Lou Guest, he was born May 3, 1943 in Winterville, Georgia having lived most of his life in Roswell, Georgia and a number of years in Toccoa. He was a Vietnam Veteran of the U.S. Air Force, was a retired mechanical engineering contractor where he served as vice president of B&W contracting, and was a non-resident member of the First Baptist Church. He was an avid enthusiast of Harley Davidson motorcycles, Corvettes, camping with his friends, and saltwater fishing. In addition to his parents, he was preceded in death by five brothers, Jerry Guest, Joe Clyde Guest, James Guest, Tom Guest, David Herring; sister, Brenda Herring and bonus daughter, Emily Wyatt. Survivors include a daughter, Laura Gail Guest of Marietta, Georgia; three brothers and sister-in-law, Edward Guest, Stanley Guest and Ken and Missy Guest; sisters and brother-in-law, Beatrice Tench, Nancy Casper and Jujuan and Dilmus Fuller; a number of nieces and nephews who loved Uncle Pete with a passion. He was reared in the home by Lorene Guest of Toccoa and the late Jim Guest. Pete also has some special friends who greatly contributed to his life; Mary Monroe Guest, Jim Andrews, Bobby Williams, Brenda Sachs and a host of very good friends. Funeral services will be Saturday, March 30, 2019, 3 O’clock p.m. in the Hillcrest Chapel of the Acree-Davis Funeral Home with The Reverend David Ritcey officiating. The following gentlemen will serve as pallbearers, Nate Guest, Jesse Briscoe, Toby Briscoe, Dalton Williams, Chopper Williams and Todd Tench. The family will receive friends at the Acree- Davis Funeral Home on Saturday, 1 p.m. until the service time. Online condolences can be left for the family at www.acree-davisfh.com. 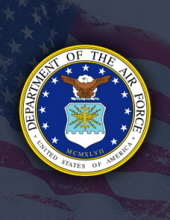 Interment will follow in the Stephens Memorial Gardens with military honors by the U.S. Air Force Honor Guard, the V.F.W. Post 4346 Honor Guard and Mr.William Tucker. Acree-Davis Funeral Home is in charge of the arrangements for Mr. Albert “Pete” Guest. To send flowers or a remembrance gift to the family of Albert "Pete" Dwight Guest, please visit our Tribute Store. "Email Address" would like to share the life celebration of Albert "Pete" Dwight Guest. Click on the "link" to go to share a favorite memory or leave a condolence message for the family.